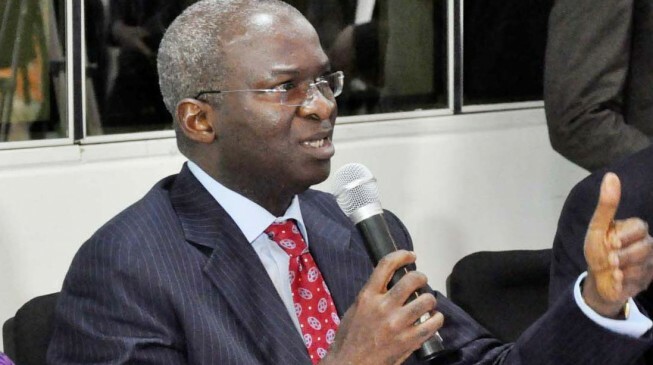 Senate summons Fashola over $35m unapproved spendings – Royal Times of Nigeria. The Senate on Wednesday started investigating the Ministry of Power, Works and Housing for spending $35m without approval by the National Assembly. The money was from $350m domiciled in the Nigerian Sovereign Investment Authority to finance electricity projects. He said the $350m released to the Nigeria Electricity Bulk Trading Company Plc was from $1bn raised through a Eurobond in July. Melaye said, “The Senate observes that this fund has been with the NSlA since 2014 and has helped build market confidence especially among new investors in the electricity market who see NBET’s positive balance sheet as a form of security that their investments are safe and that NBET has the wherewithal to meet its payment obligations. “The Senate is concerned that the Federal Ministry of Power, Works and Housing is determined to persist in this brazen violation of the Constitution and extant laws on due process by insisting that the NSIA should release the $350m meant for NBET on the pretext of acting under a purported presidential approval. The Senate asked its committees on Power; and Public Accounts to invite the Minister of Power, Works and Housing, Babatunde Fashola (SAN), to render a detailed account in terms of public funds spent on the Fast Power Projects (Afam Fast Power Project in particular); evidence of feasibility study indicating the viability of the projects; requisite appropriation by the National Assembly as required by the constitution; and the controversial presidential approval for the projects. It also mandated same committees to investigate and consider summoning the Nigerian Sovereign Investment Authority, the Nigeria Electricity Bulk Trading Company, etc., to generally establish the status of the funds ($350m) and to report back to the Senate within two weeks.